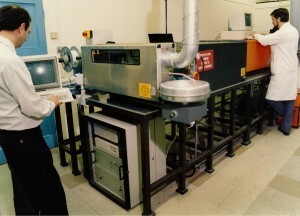 1987 – British Aerospace PLC (now BAE Systems PLC) research group, led by Dr Peter Dickinson develops ultra violet (UV) laser wire marking process as a replacement to ink based hot stamping. 1989 – Spectrum Technologies Ltd established as a subsidiary of BAE within BAE Enterprises Ltd to commercialise industrial laser technology applications. On 14 October 1989, Spectrum Technologies Ltd company name was approved and registered with Companies House. 1990 – Spectrum started operations in Bridgend, UK with 4 employees. The CAPRIS 500 was launched: the 1st generation excimer laser wire marker based on the BAE prototype. The launch customer was BAE Military Aircraft Samlesbury for use in the production of Tornado fighter aircraft harnesses. 1991/2 – First CAPRIS sales made into USA (Boeing) and Europe (Airbus). 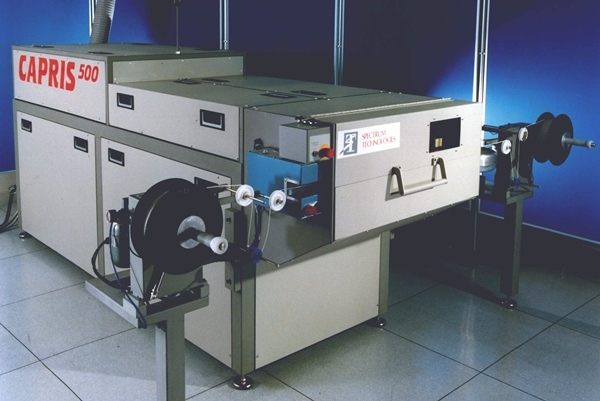 1993 – CAPRIS 100 launched – 2nd generation excimer laser wire marker; launch customer: Smiths Industries (now GE). Spectrum develops specialised UV laser etching technology for the manufacture of 2.3 m diameter Ku band satellite antennae, a key component required for Orion 1, Europe’s first communication satellite using laser etched, grid technology, shaped beam reflectors. 1994 – Spectrum Technologies is the subject of a management buy-out, which placed 80% of the Company’s equity with the management while BAE retained a 20% stake. Key orders for the newest versions of the CAPRIS 100 received from Boeing and Agusta initiate a sustained period of growth that continued until 9/11. 1995 – The Company wins its first Queen’s Award for Export. Introduction of the CAPRIS 50: 3rd generation low cost, solid state UV laser wire marker for low volume applications. The CAPRIS 50 : First entry-level, low cost, solid state UV laser wire marker for low volume applications, introduced in 1995. 1997 – First exports to Asia Pacific region. 1998 – Establishment of Spectrum Interconnect Inc in Dallas/Fort Worth, TX as Spectrum Technologies’ US office to provide sales and service support to the Company’s North American customer base. CAPRIS 60 mid range solid state UV laser marker introduced. 1999 – First exports to South America. 2000 – New US sales & support office located in Dallas/Fort Worth, TX and new 20,000 sq.ft UK factory. 100th CAPRIS 50 sale. The Company wins three export awards, including the Company’s second Queen’s Award for Enterprise – International Trade. 2001 – Acquisition of RtMc Inc Phoenix, AZ, USA, a manufacturer of laser wire stripping products (soon to become the SIENNA range). Spectrum also acquired the assets of its main competitor in the aerospace laser wire marking market, Vektronics Inc, of Vista, California. The dot.com downturn and the events of 9/11 caused a major restructuring of the company. 2003 – In the USA Vektronics’ residual business was combined with RtMc Inc and Spectrum Interconnect Inc and merged into a single new operating company: Spectrum Technologies USA Inc. and the company relocates it US HQ to new offices and factory in Phoenix. 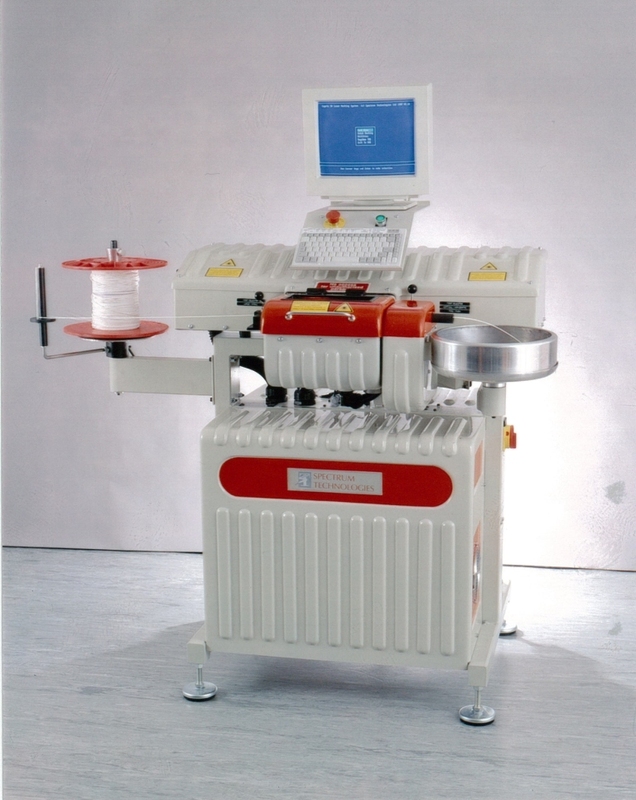 The world’s first bench-top UV laser wire marking system – the CAPRIS 50-100PCS, launched in 2004. 2004 – New 4th generation CAPRIS 50-100 entry level and 50-300 mid-range laser wire markers launched using the Company’s new proprietary Longbow solid state laser. 2006 – Engineering and production of SIENNA products is transferred from Phoenix and consolidated into Spectrum’s Bridgend, UK operation. New SIENNA wire stripper range & Queen’s Award #3. Spectrum Technologies USA Inc HQ moves to office in Southlake Dallas/Fort Worth, TX. 2007 – Spectrum opens a Hong Kong based sales and service office to support the expanding customer base in Asia Pacific. 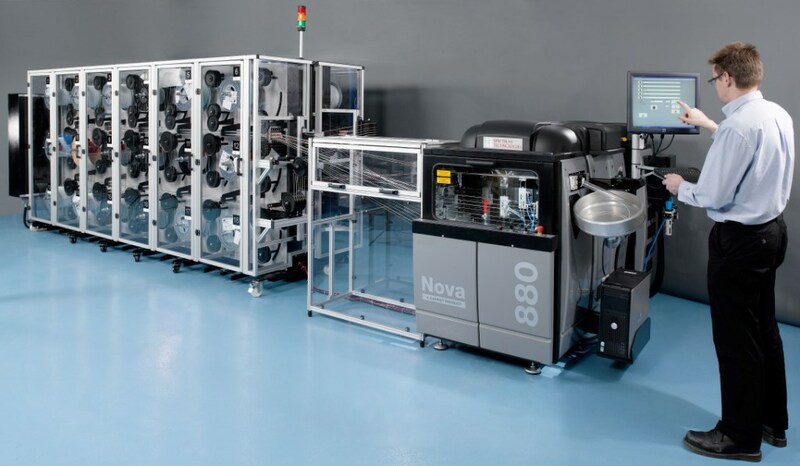 In October the new 5th generation Nova wire marker range was introduced with the new top of the range Nova 880, the fastest laser wire marking system yet; the launch customer was Sikorsky Aircraft. Top of the range Nova 880 from the Nova 800 series with auto-select and load system and 30 station dereeler as sold to Boeing major harness prodcution facilities in the USA. 2008 – Full Nova 800 range was launched comprising five models from the 800 through to the 880. NovaJet ink jet wire marker development initiated. 2009 – Spectrum celebrates its 20th Anniversary and opens a new branch office in Shanghai, China. October: First NovaJet shipped to launch customer Sikorsky aircraft in the USA. Spectrum USA Dallas, TX office moves to new 5,376 sq.ft facility in Fossil Creek, Fort Worth to support US expansion. 2010 – Spectrum recruits Sales Engineer based in India and expands Asia-Pacific operations through the recruitment of a new Sales Engineer based in Shenzhen. 2011 – The 250th CAPRIS 50-100PCS was sold to Boeing, Shanghai, making it the most widely sold laser wire marker in the world. Spectrum factory and headquarters also started to undergo an extensive refurbishment project, with new office space, a new canteen, a new development and engineering lab, new laser optics lab, new training area and extended production area being completed before the year end. 2013 – Shanghai office changes status to a Foreign Invested Commercial Enterprise and moves to new premises. Ground-breaking downstream product innovation released – Nova PEGASUS, offering 30% productivity gains and 80% machine utilisation to wire marker customers. 2014 – Spectrum celebrates its 25th anniversary and ships CAPRIS 50-100PCS #300 to Boeing Defence UK – maintaining its position as THE most widely sold laser wire marker in the world. New Spectrum subsidiary in China officially launched – Shanghai Imperial Laser Systems Trading Co. Ltd, otherwise known as Spectrum Technologies China.